Pelikan’s 24 pen Collectors’ box was announced last year but issues with manufacturing resulted in a significant delay bringing the product to market. Vendors are finally starting to get stock and I thought that it would be worthwhile to share my impressions for those that may be interested in picking one up. Finding an adequate storage solution becomes a problem every collector faces at some point. I have seen no shortage of creative solutions during my time with this hobby and I’ve even employed a few of my own. Many people take to retrofitting objects made for other purposes to the task of fountain pen storage. 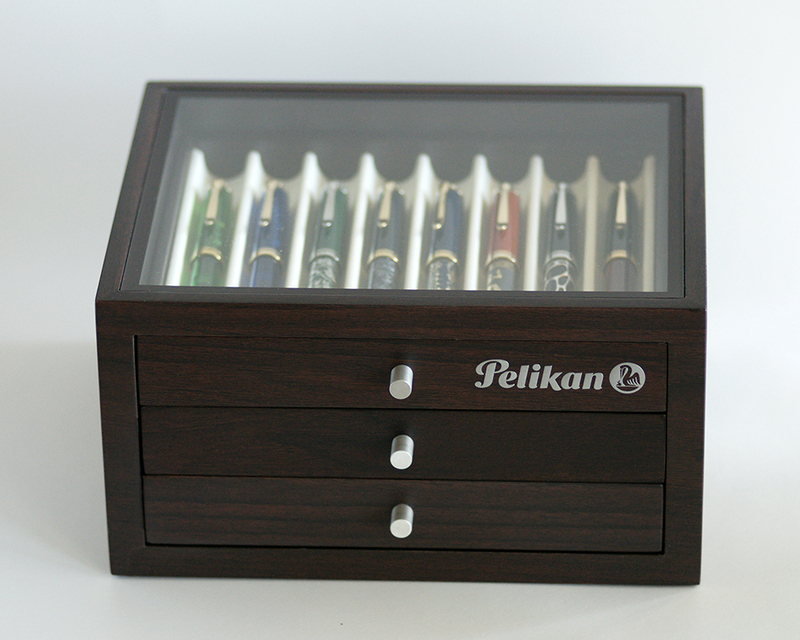 I presume Pelikan hopes to change that with their own branded pen chest. The chest that I review here was purchased from Appelboom in the Netherlands and I cannot recommend them enough for their excellent customer service and communication (no personal or professional affiliation, just a satisfied customer). Read on to find out how this chest stacks up as a storage solution for your flock. 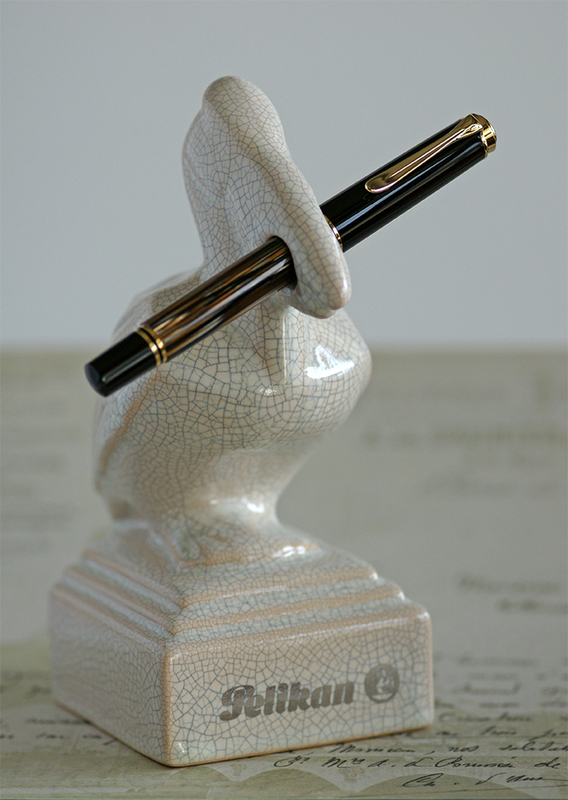 Few designs capture the imagination of the fountain pen community like a tortoise release from Pelikan. 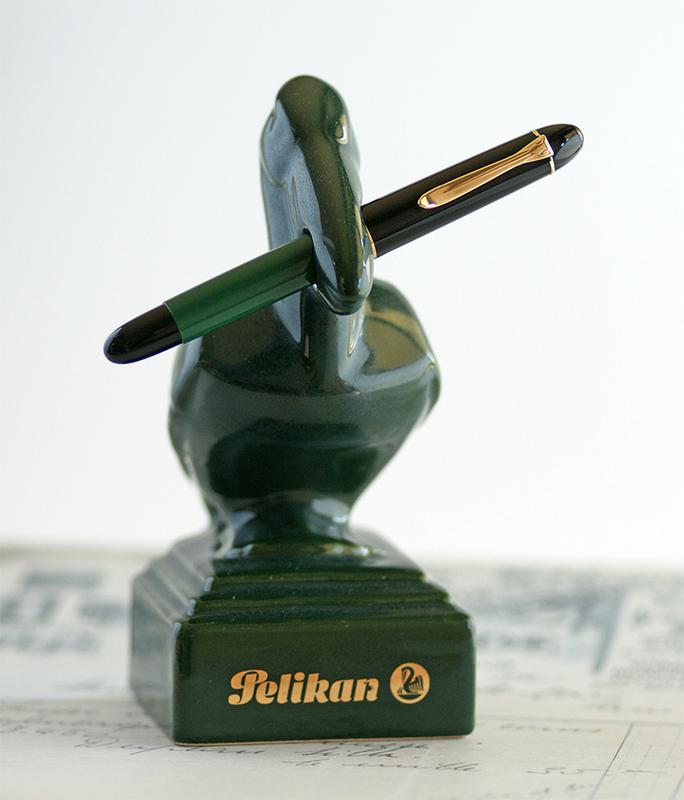 The tortoise finish goes all the way back to the earliest days of Pelikan’s foray into fountain pens. Forums can frequently be found with posts lamenting the lack of a tortoiseshell variant of one model or another. When the M800 Tortoiseshell Brown was released in 2013, it became an instant classic. Prior to that the M4xx line last saw a tortoise release in 2009 (M415) and the M600 line last had one in 2012 (Tortoiseshell White). When the M800 was made available, one of the few criticisms from the community was that such a finish was not present in a smaller sized model. Three years later and Pelikan has again resurrected the tortoise as a special edition finish in the M400 series. This is the first brown tortoise in the M400 line in seven years and is sure to make a big splash, particularly amongst those that favor a smaller/standard sized writing instrument. After a month of regular use, I’ve been very pleased by this model and felt that a review was in order. Read on to discover my thoughts on the newest special edition to join the flock. Every so often, someone asks how I manage my collection. I thought that it might benefit the community at large to share my solution and do a review of sorts. This will be one of the few post that you find on this site that has nothing to do with Pelikan. When you get your first pen, you have no need for spreadsheets. Often times, it’s not long before you add a second pen and then a third. Before you know it, you have a collection and a desire to keep a better accounting of it. I think that it is important for any collector to have a record of past purchases with detailed accounts of those transactions. We’ve all been in a position of having to figure out the best way to do this. 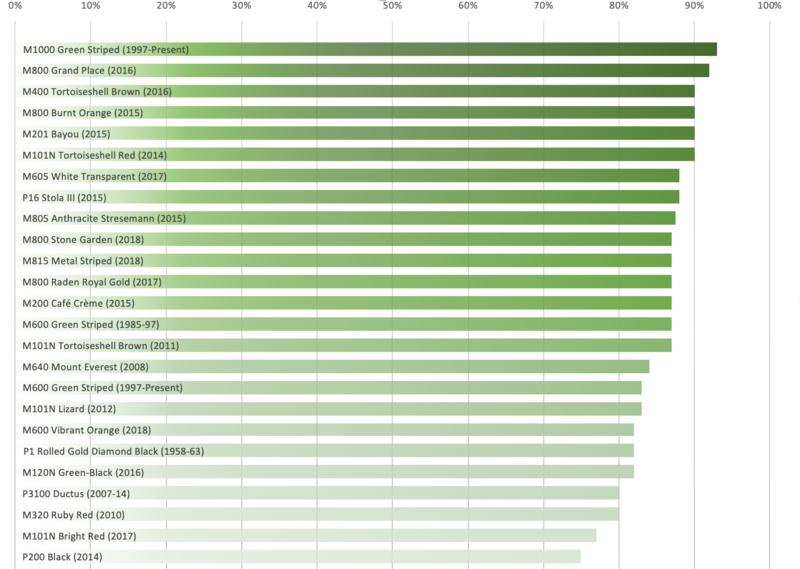 Initially I used Microsoft Word in conjunction with Excel. This was a very workable solution in the early days but as my collection grew, I felt that this method lacked flexibility. It became harder and harder to keep track of the variables that I was interested in and data began to become the enemy rather than an asset. I decided to search the web and see what other solutions might be out there. I didn’t expect to find something geared for the fountain pen enthusiast but was hoping to at least find a solution that could be retrofitted to that purpose. I wanted an option that wasn’t too expensive, provided flexibility, and would allow me to have a bird’s eye view of my collection by being easily searchable. In that quest, I found Recollector, a piece of software designed for the collector of just about anything. 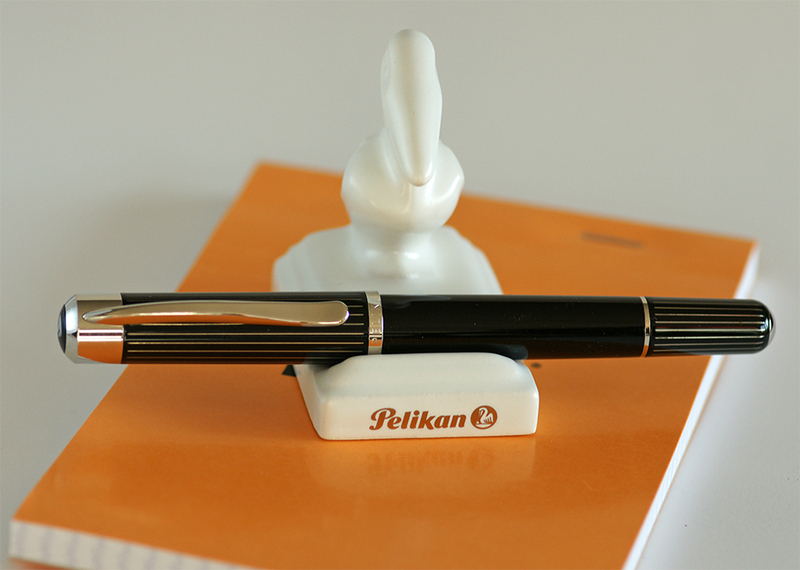 Pelikan’s announcement of the M120N in January came as somewhat of a surprise. The retro release marked the revival of a popular 1950’s school pen, the predecessor of the Pelikano. Like the original that debuted in 1955, this version keeps the same green-black color scheme and gold-plated stainless steel nib but comes in a larger size and with the added flourish of a unique nib engraving. What was even more surprising than the pen itself was the price tag attached to it. Still, these seem to have found their target audience and I have heard anecdotes that sales have been good. 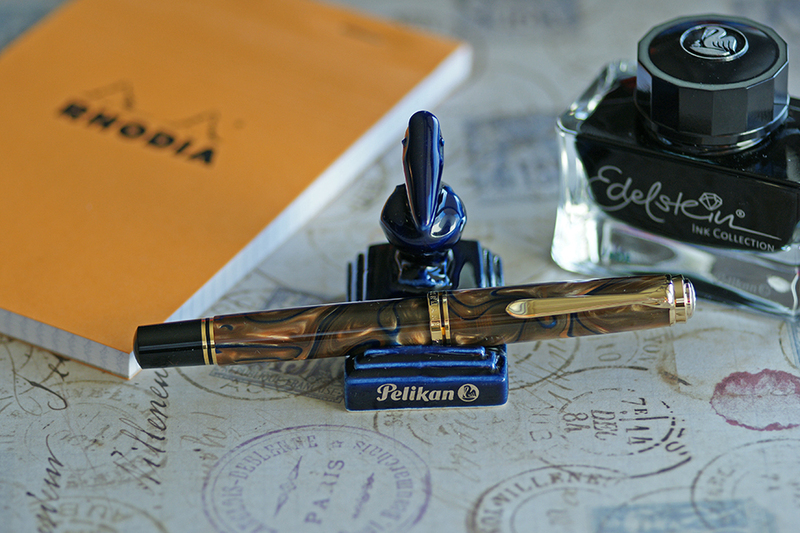 Pelikan expected to very quickly sell out of this special edition release. I couldn’t resist picking one of these up and after thoroughly putting the pen through its paces, I felt that a review was in order. Read on to see how this model stacks up to the original 120 from over 60 years ago. If you mentioned the Pelikan Grand Place (pronounced ɡʁɑ̃ plas) just a few months ago, those in the know would have assumed you were referring to the M620 of the same name released in 2006. Despite the rumors of Pelikan’s 2016 line up that abounded at the end of last year, I’m not sure if anyone saw a new M800 of the same name forthcoming. Similarly styled but with very clear differences, the new M800 version of the Grand Place is destined to sell out quickly. Pelikan has released many special edition M800’s in recent years and this one appears to go a step further by being geographically limited to just a few countries with the United States, Netherlands, and Italy making the short list. Hopefully that is enough geographic distribution, with the global economy being what it is today, to allow anyone who wants one of these to get their hands on one. Rumors have suggested that the production run is more limited than usual but specific details as to just how many pens have been produced are unavailable. However many were made, it certainly feels more exclusive than most of the other recent special editions. The pattern is undeniably beautiful with rich, vibrant shades of brown intermingled with deep, lustrous blues swirled throughout. The outer box describes the model as “Water Soil” which is a fitting description of the pen’s design. Interestingly, this is the same description that accompanied the ultra limited release of the M201 Bayou last year and the material for both pens appears to be identical. The pen reviewed here was purchased for my personal use from Goldspot Pens who provided competitive pricing, excellent communication, and fast shipping for which I would highly recommend them. A great new book about Pelikan has become available and I wanted to highlight it now that I’ve completed my first read through. 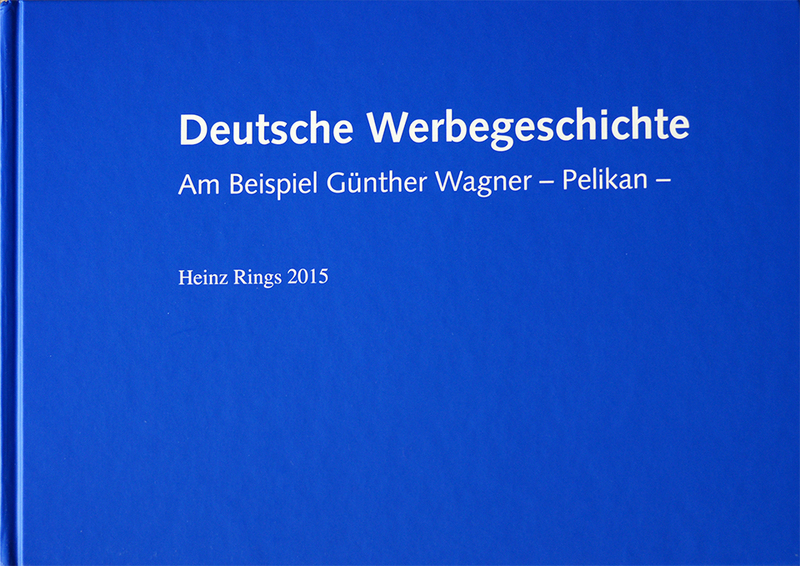 Published last year, the title of this book roughly translates to “History of German Advertising by the Example of Günther Wagner – Pelikan.” This tome is 292 pages with 600 sensational illustrations of Pelikan ephemera taken from Mr. Rings’ collection as well as Pelikan’s own archives. You learn in the first few pages that Mr. Rings is an expert in the advertising history of Germany and has been collecting ephemera for decades. Deutsche Werbegeschichte takes a look at how Pelikan’s advertising evolved from 1880 through the year 2000. The book is available in an unassuming plain blue hard cover and is written in both German and English with translation provided by Tamara E. Koch. Work on this volume began in 1997 and has taken many years to come to fruition. This is perhaps the most extensive catalogue of the brand’s advertising across a wide variety of mediums that one could hope to find available today. As anticipation grows for the upcoming M800 Grand Place and M805 Vibrant Blue, I thought that it would be fun to start off the new year with a close look at the last Souverän released in 2015, the M800 Burnt Orange. Pelikan reported in their last newsletter that stock sold out very quickly with this model, so much so that a second run is planned for sometime in April 2016. The Burnt Orange boast a beautiful combination of rich, warm colors that were well suited to its fall release. To achieve such a beautiful looking pen, some design choices had to be made and form appears to have won out over function as I’ll describe below. This is the first time that we have seen a shade of orange make its way into Pelikan’s high-end Souverän line since the M320 Orange Marbled debuted in 2004. Many other manufacturers have effectively incorporated similar colors into some of their models, the Montblanc Hemingway and the Delta Dolcevita quickly coming to mind. 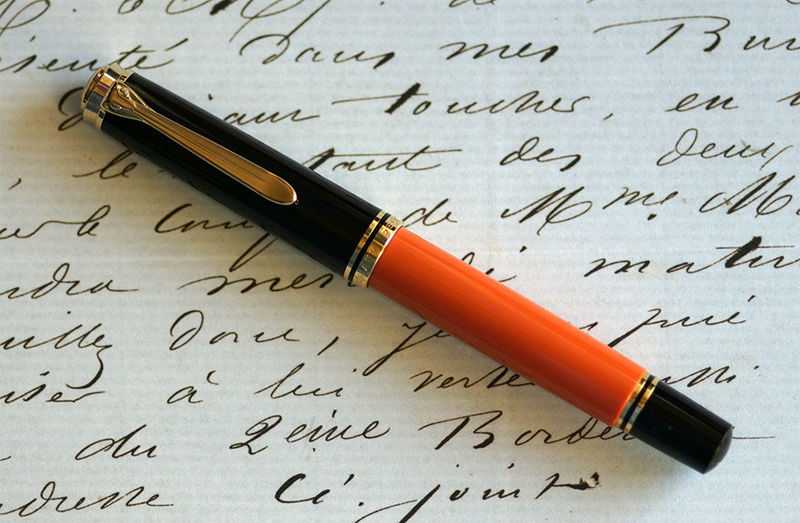 Read on to find out if Pelikan’s implementation on the Burnt Orange hits the mark or goes astray.